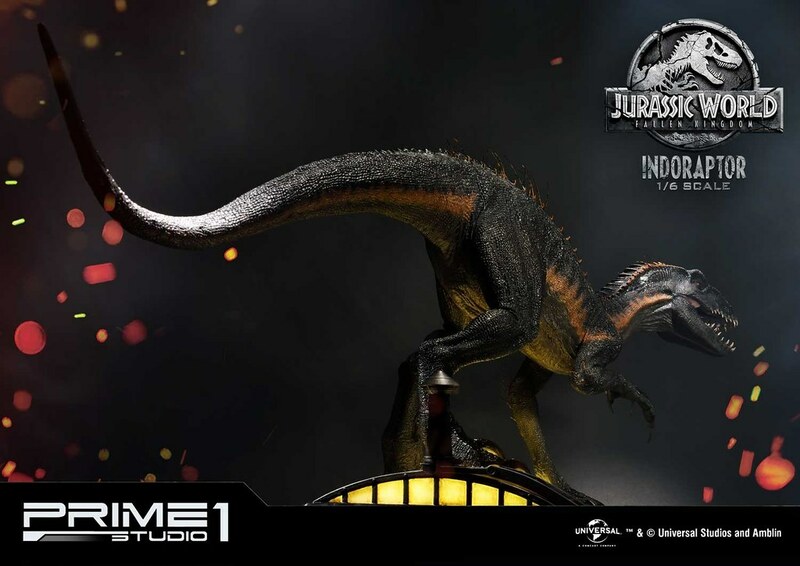 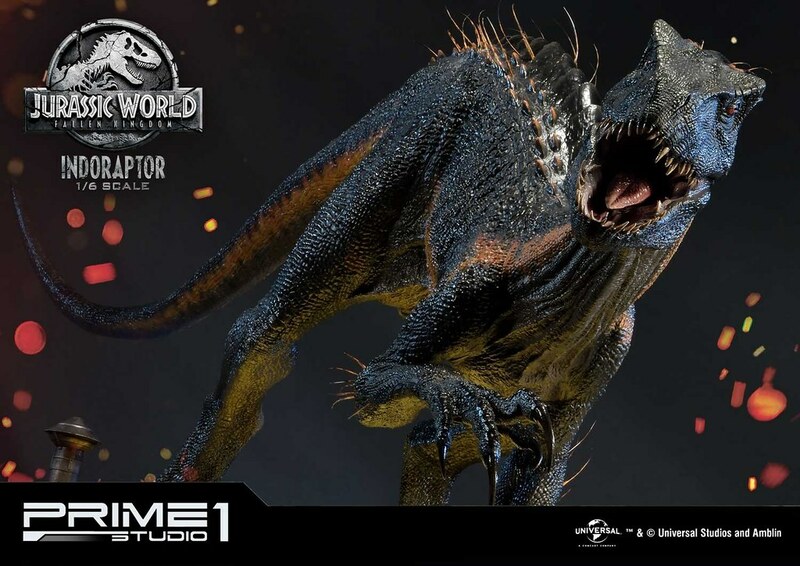 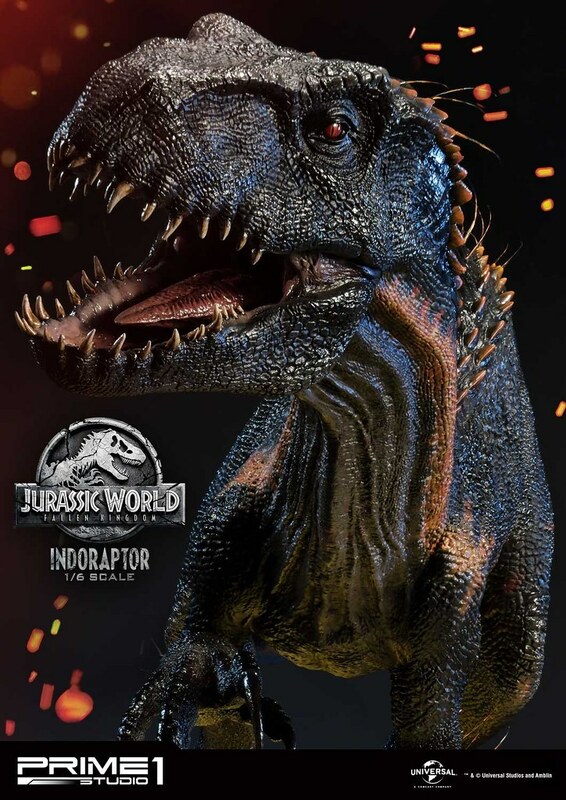 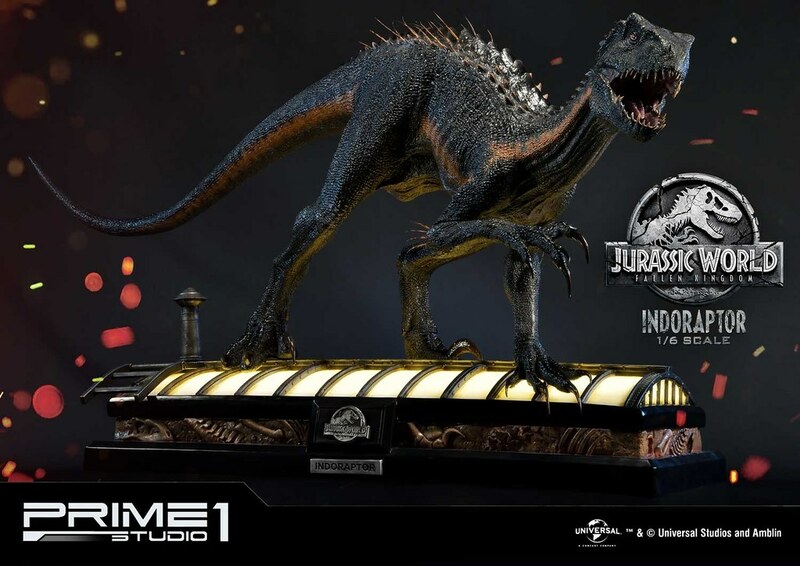 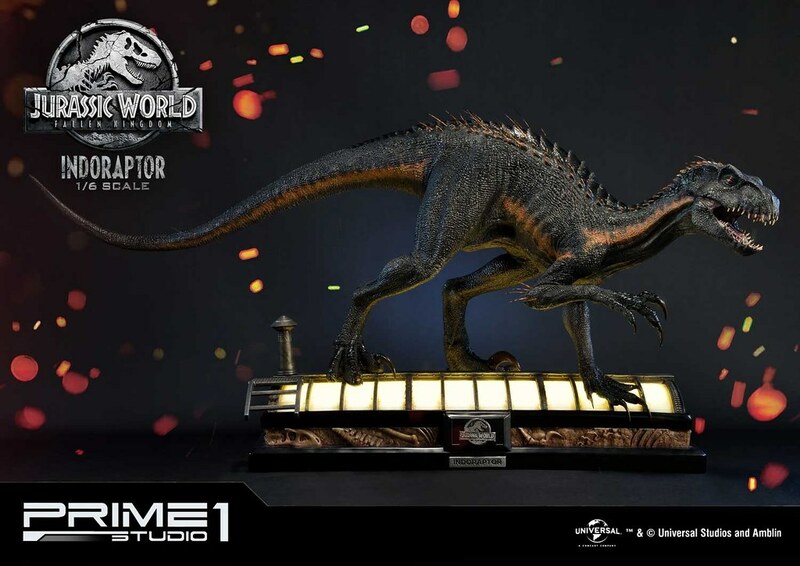 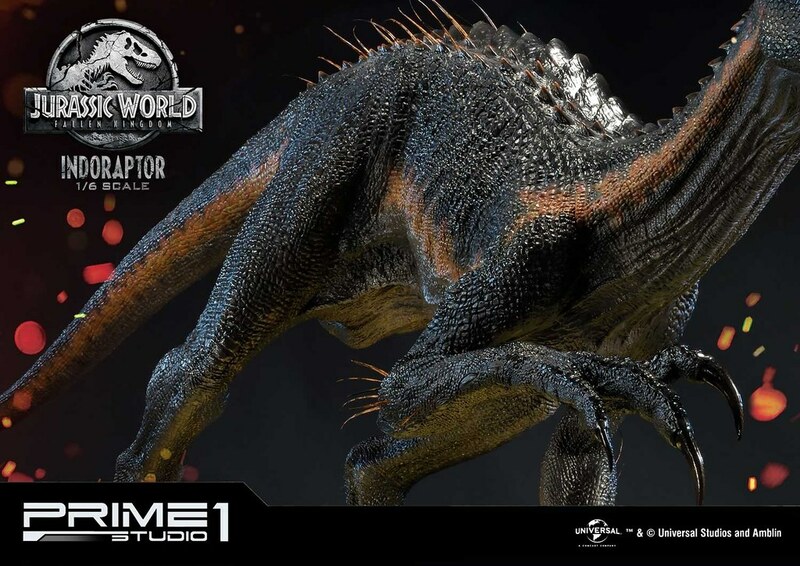 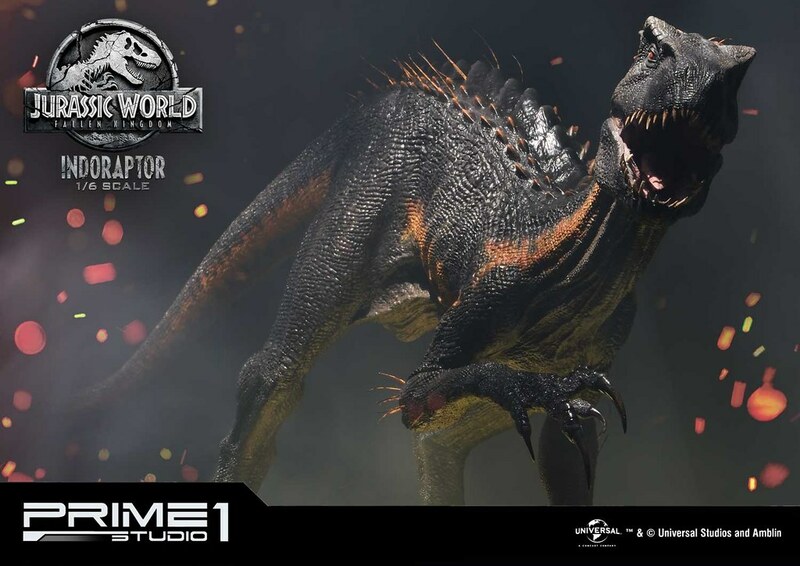 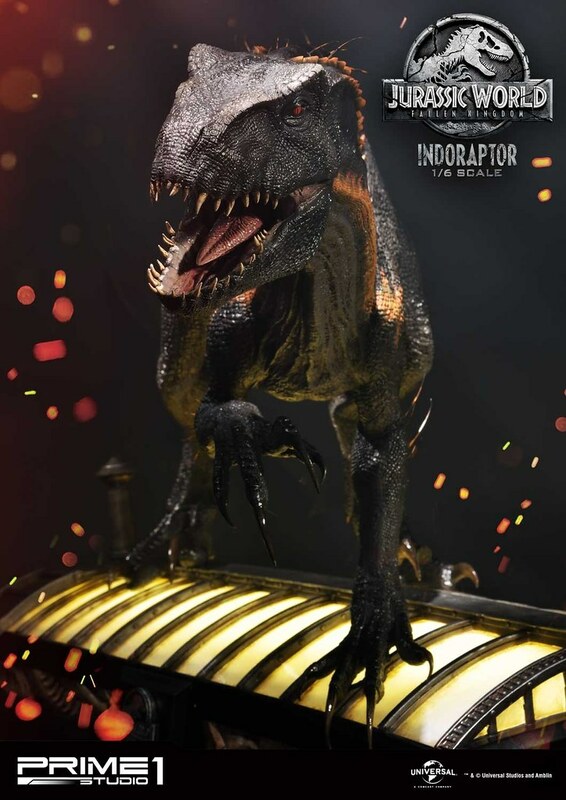 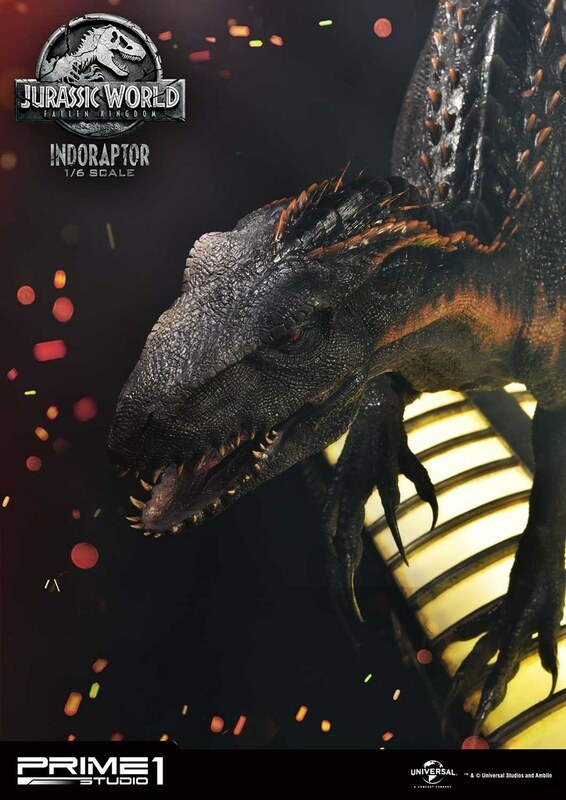 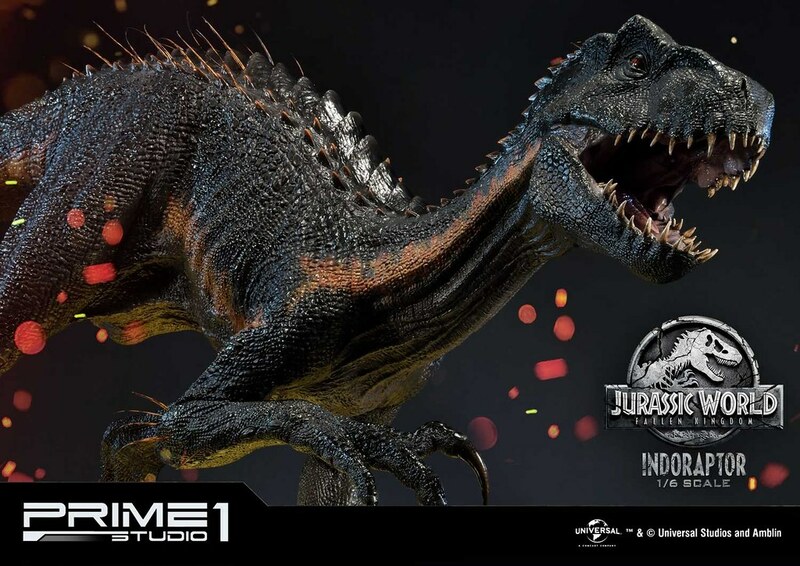 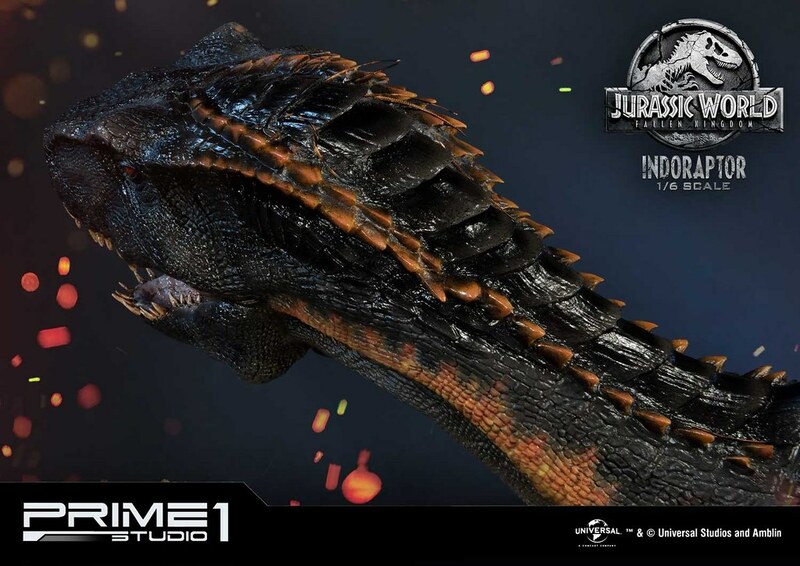 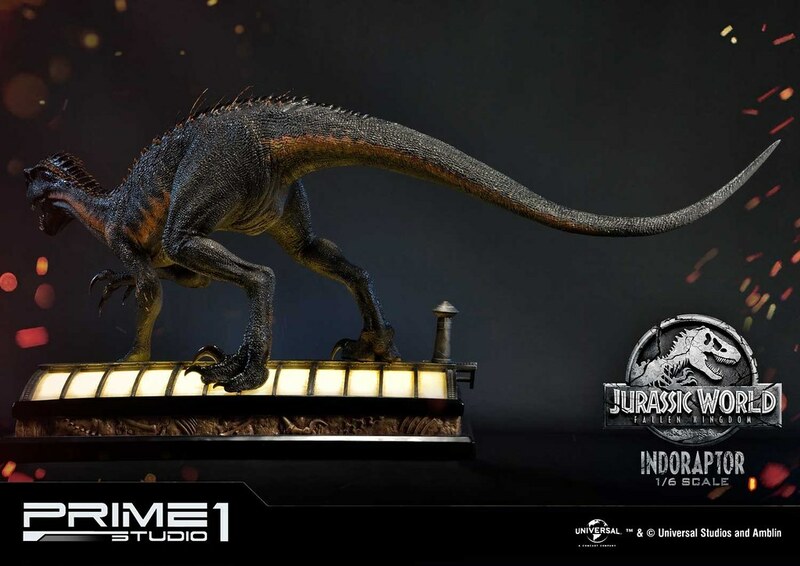 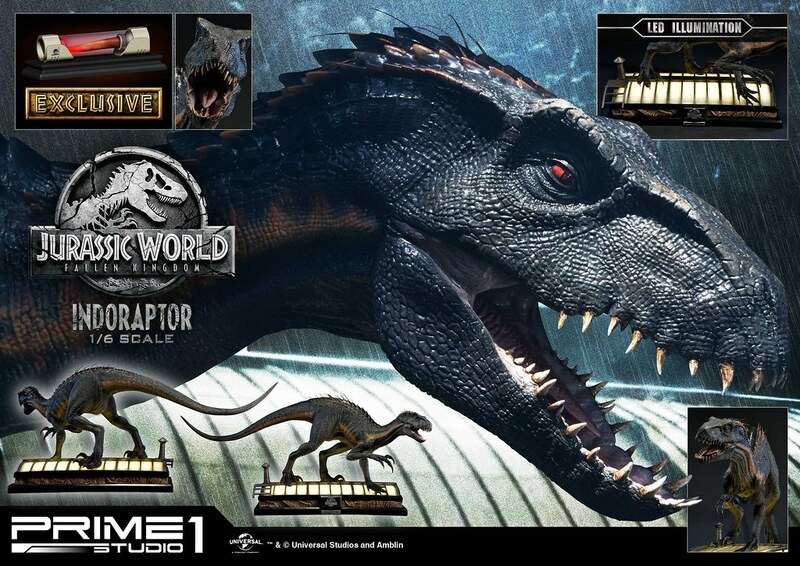 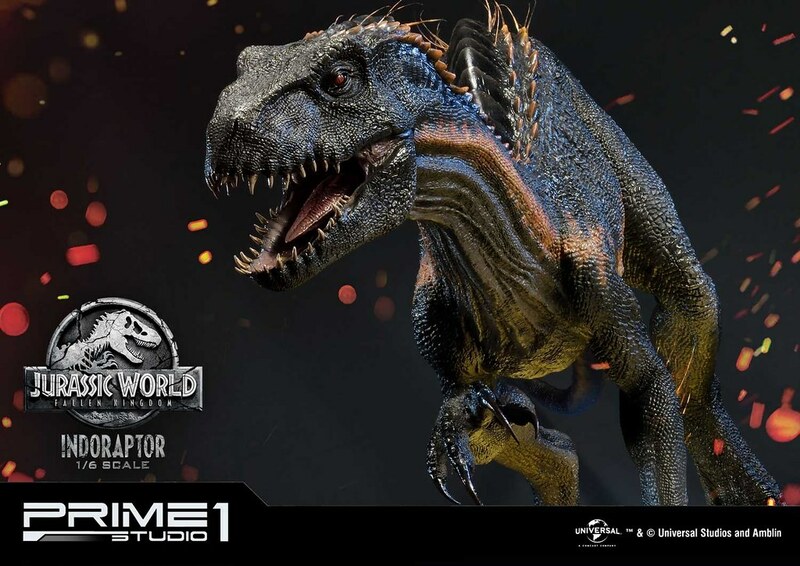 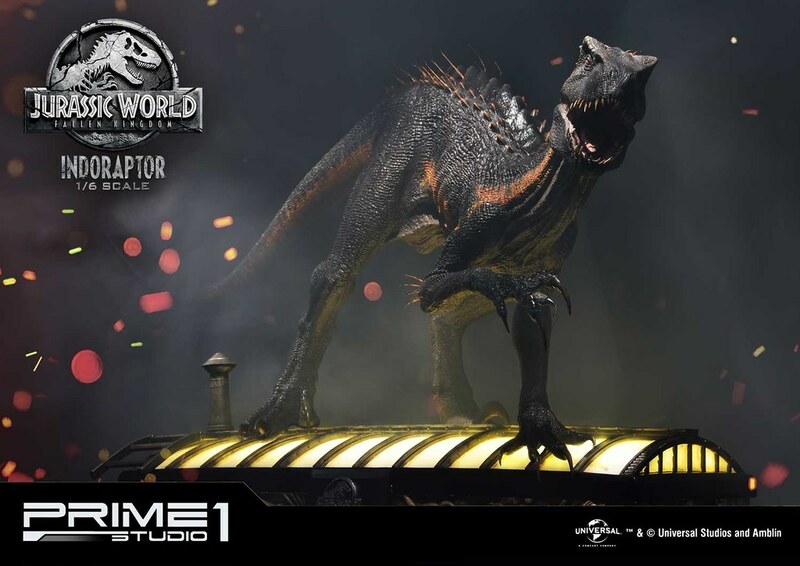 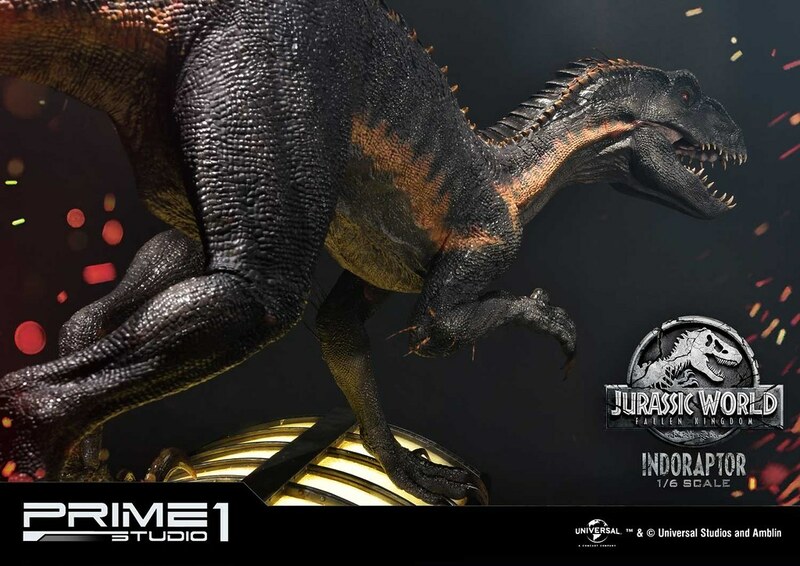 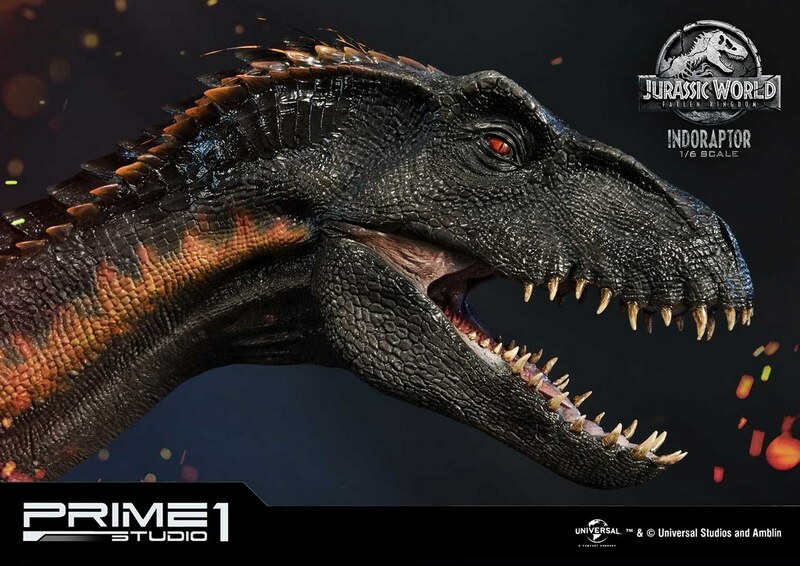 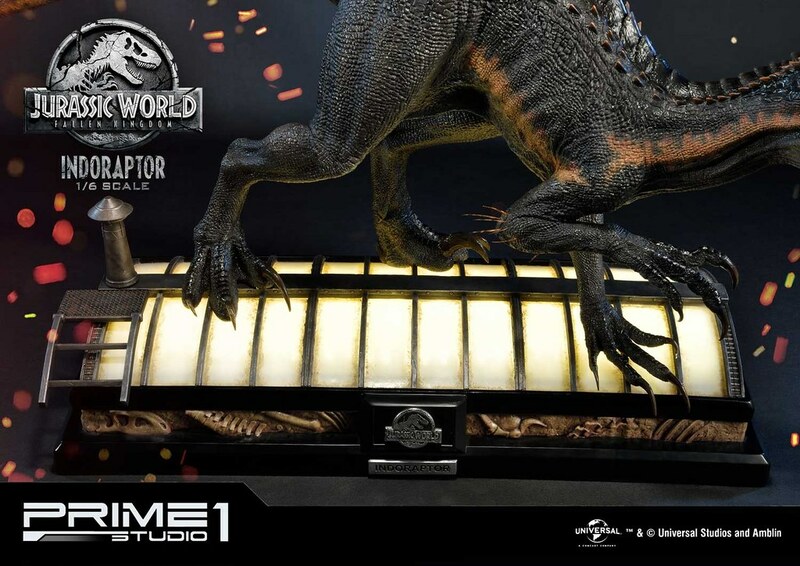 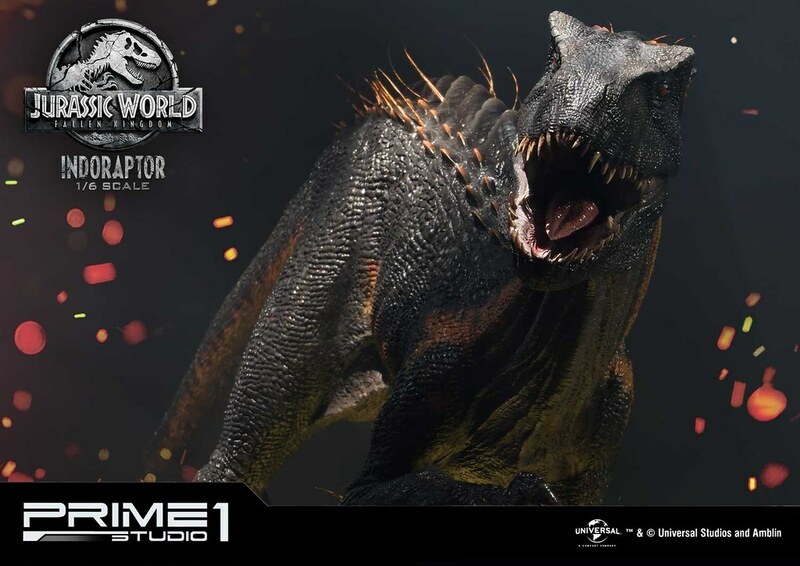 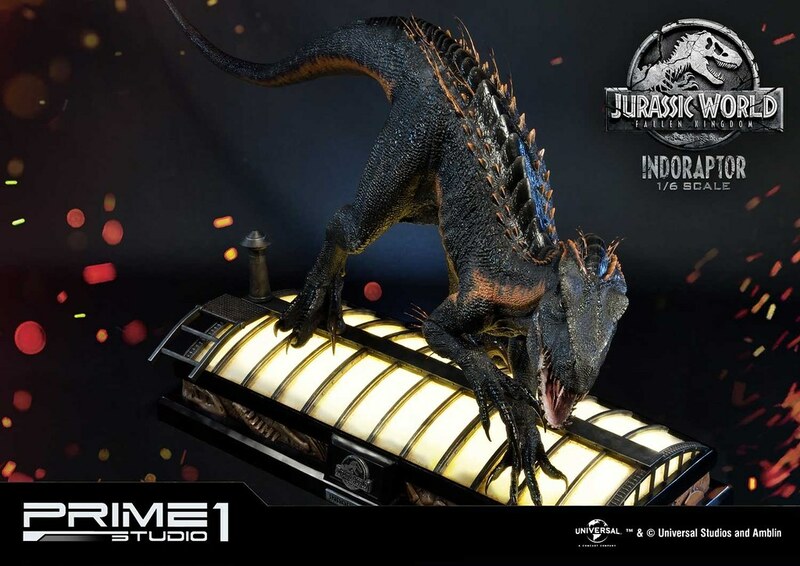 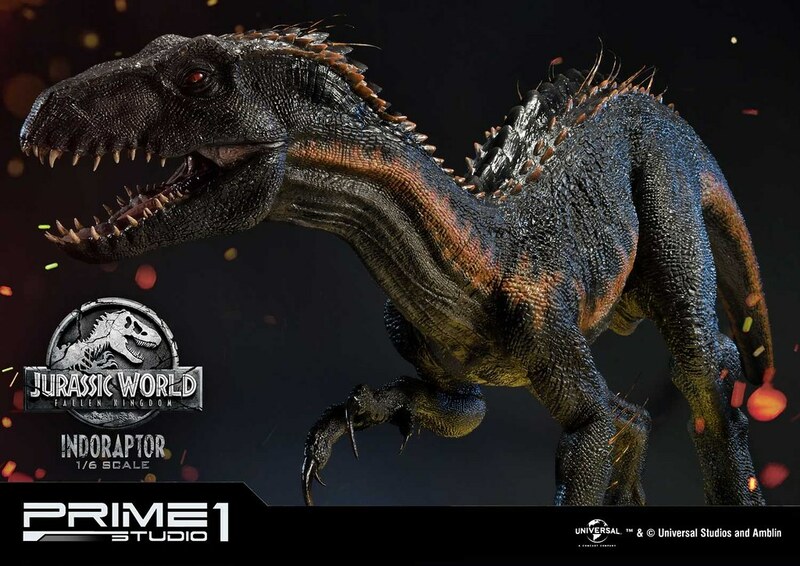 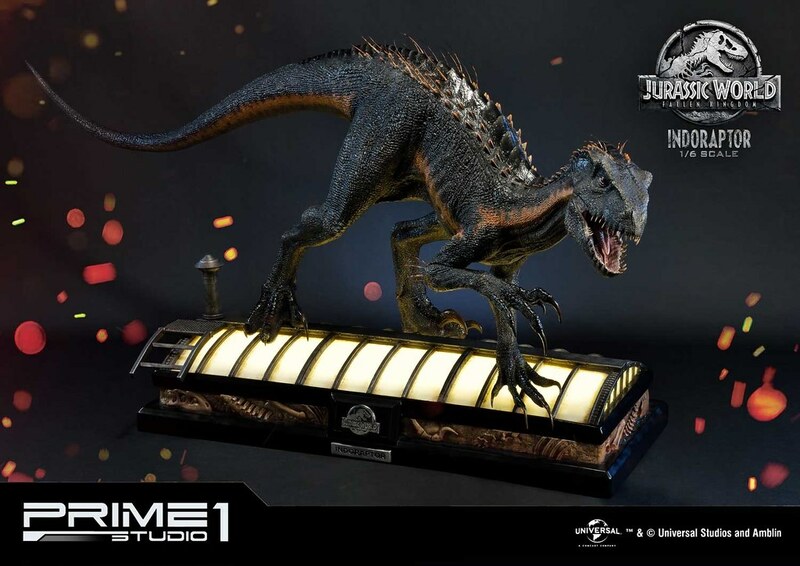 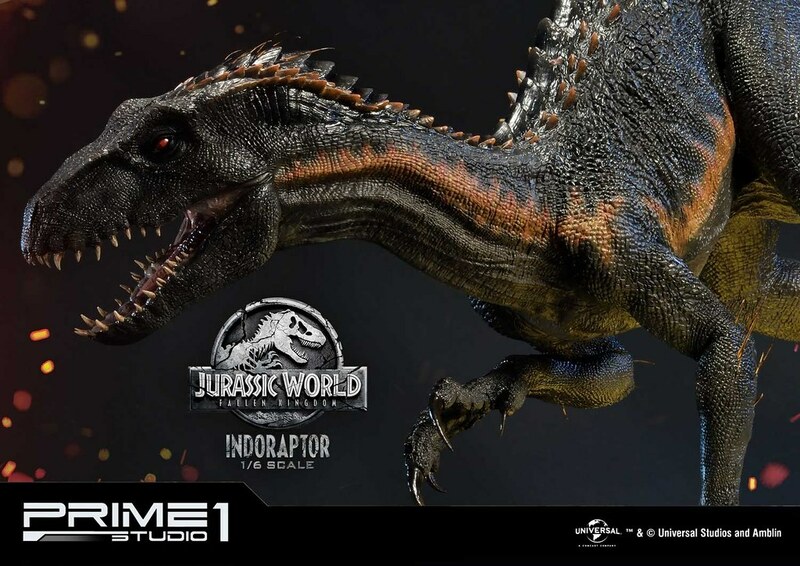 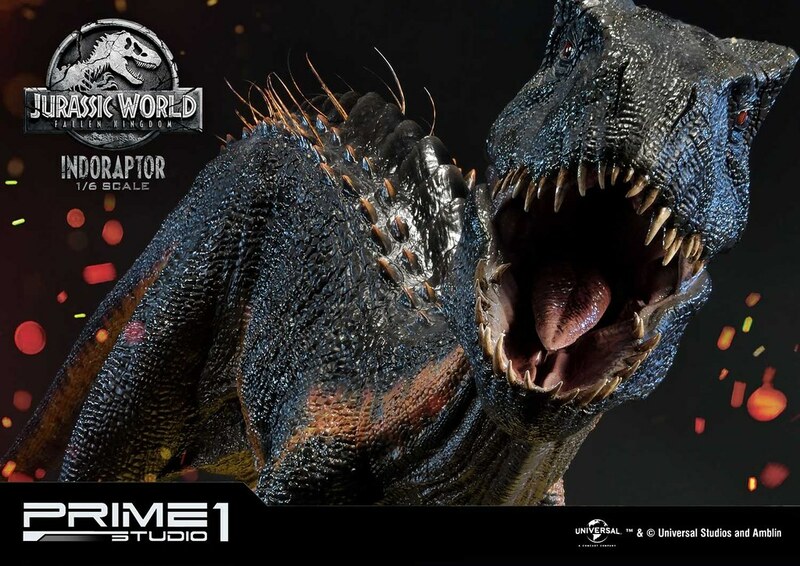 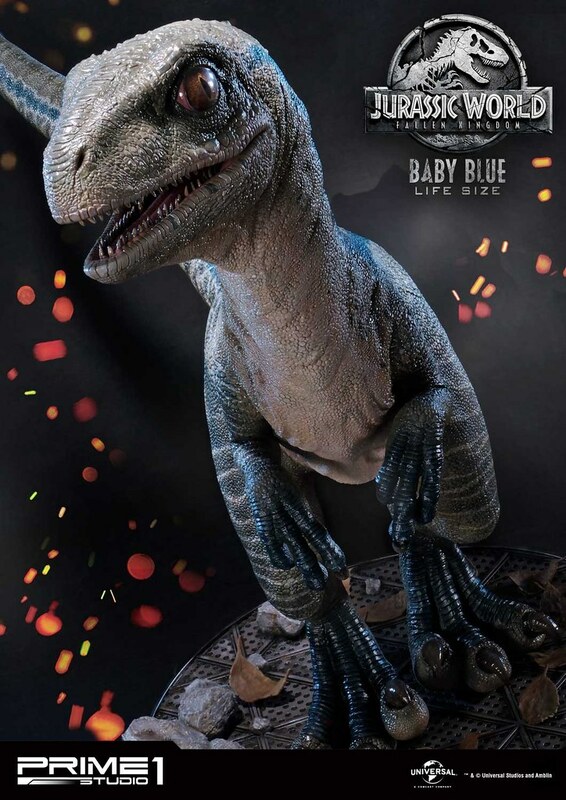 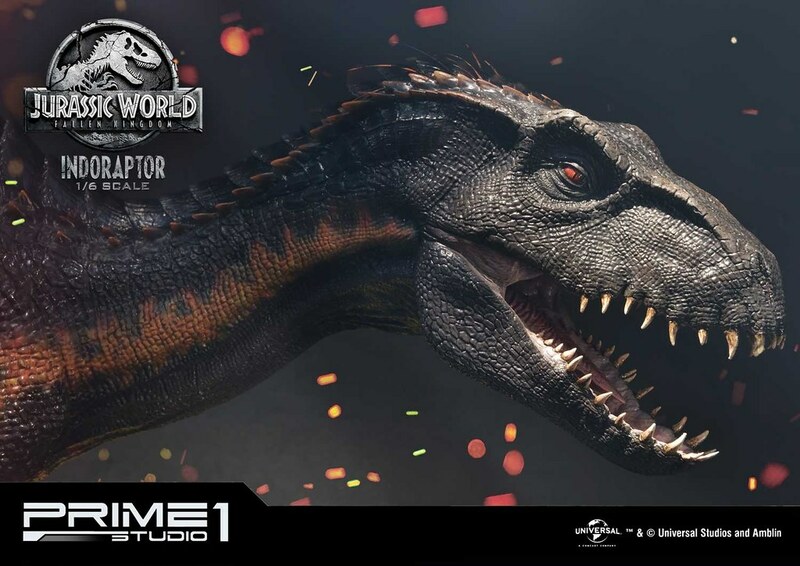 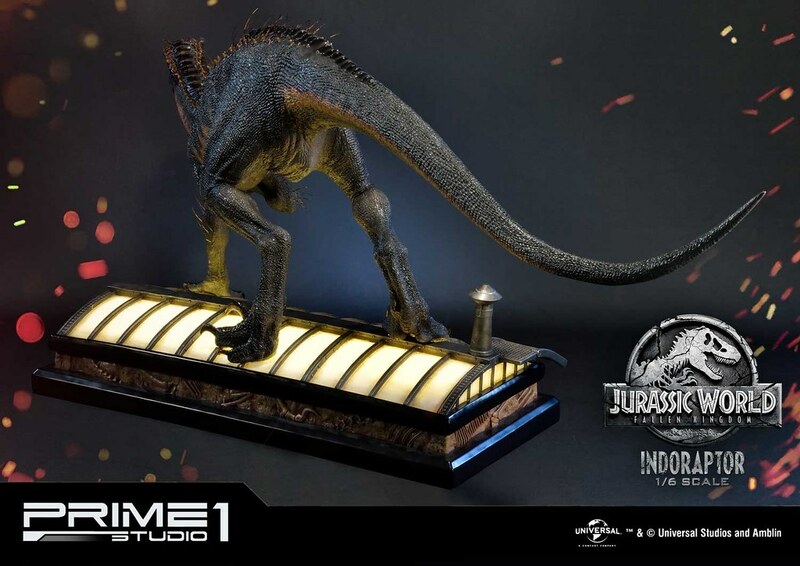 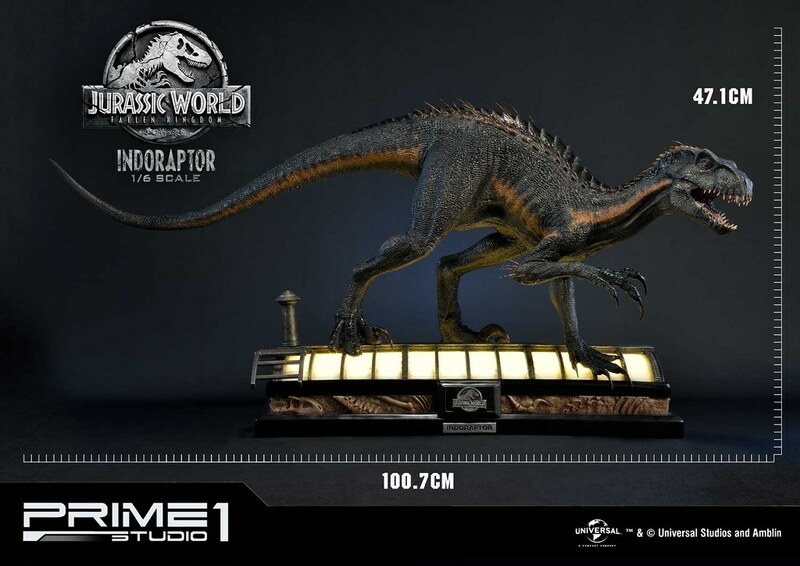 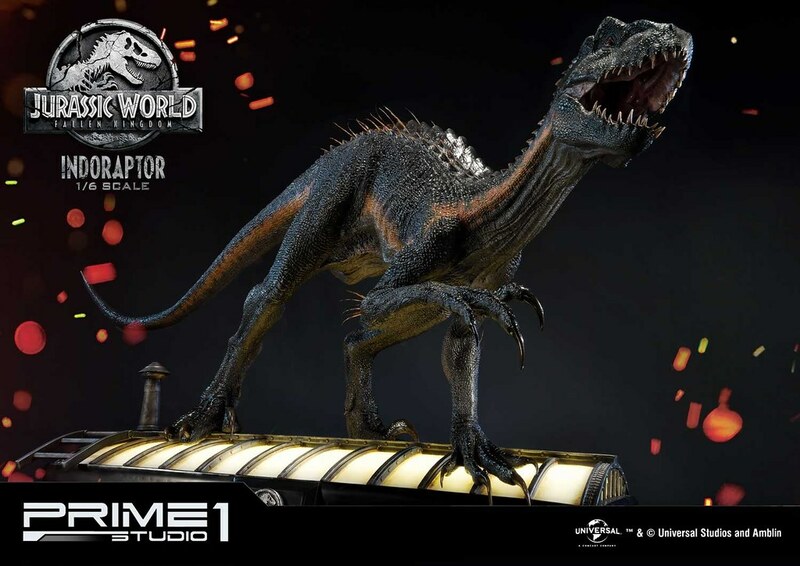 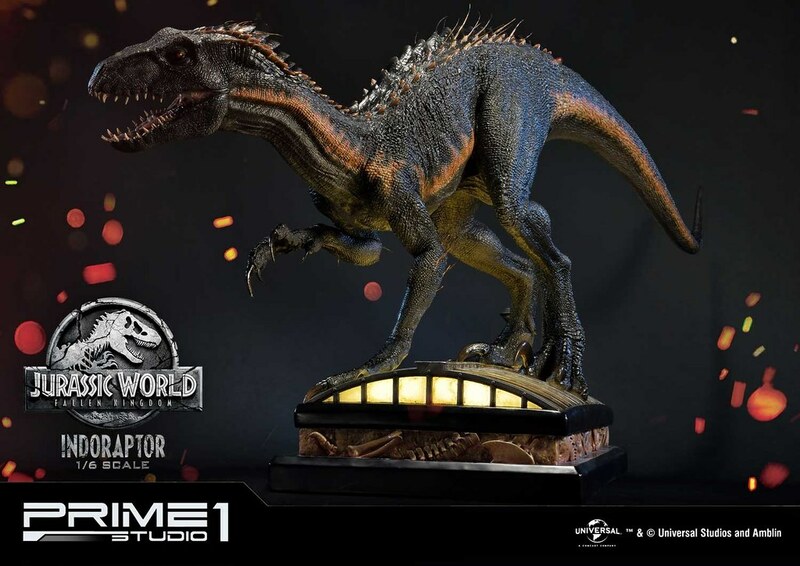 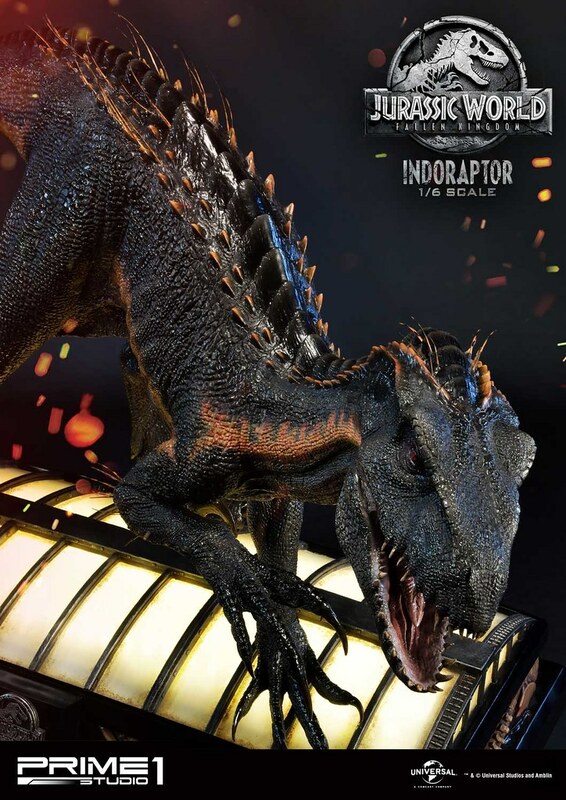 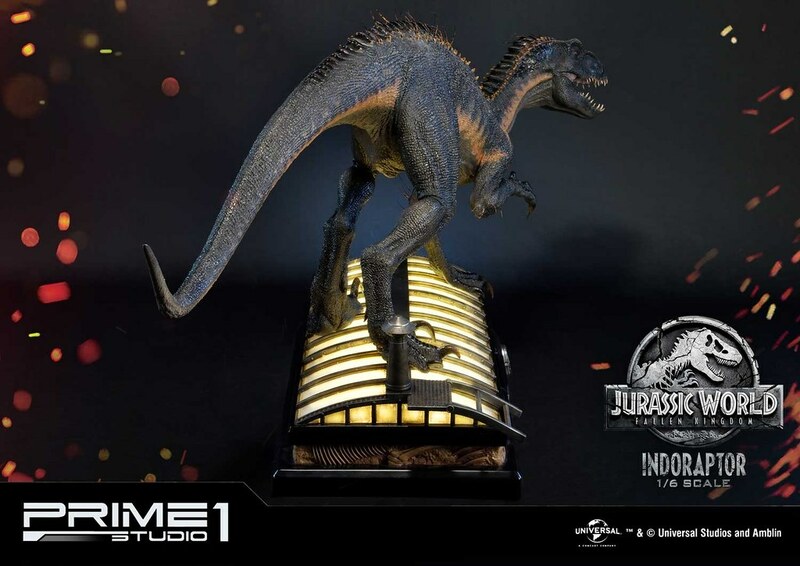 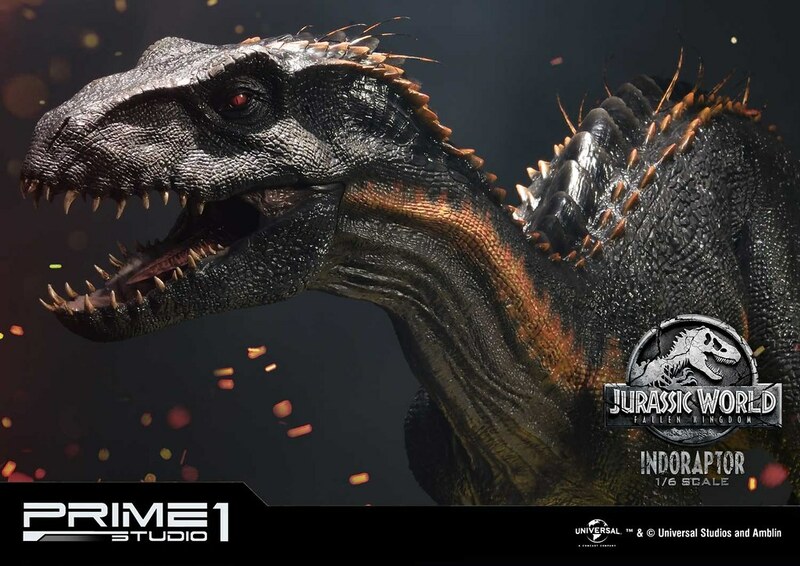 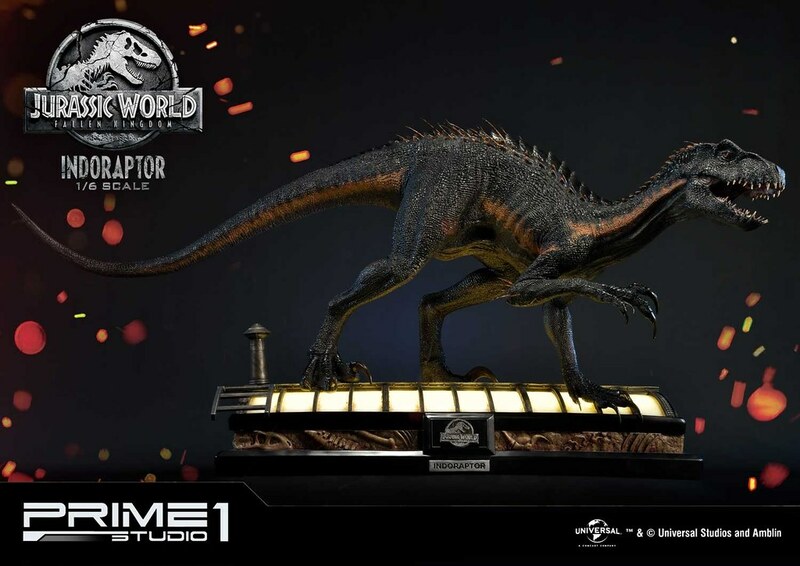 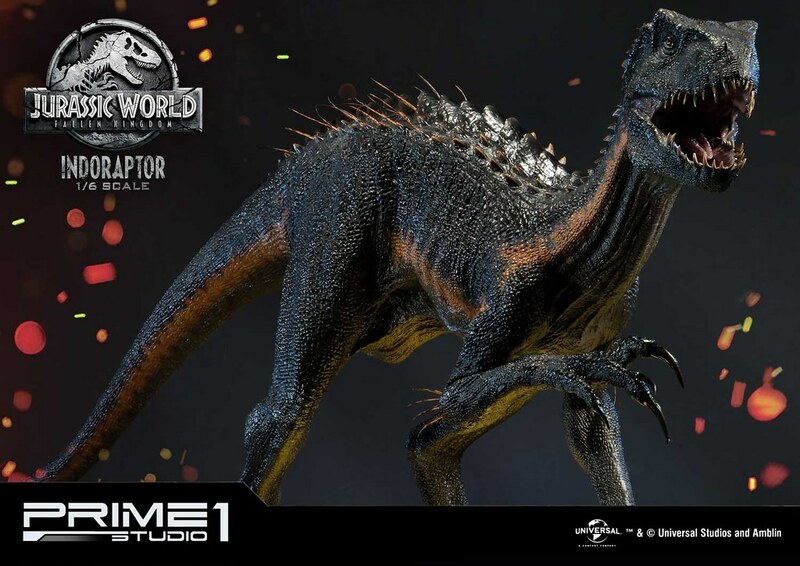 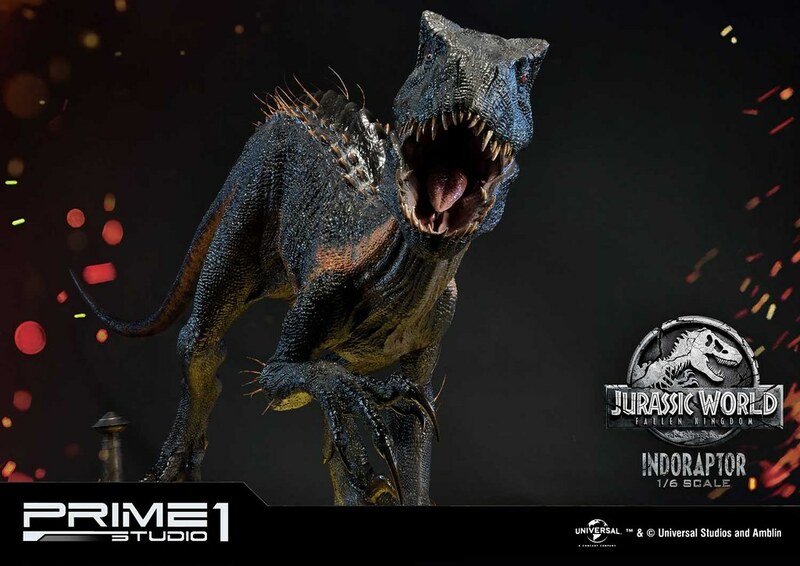 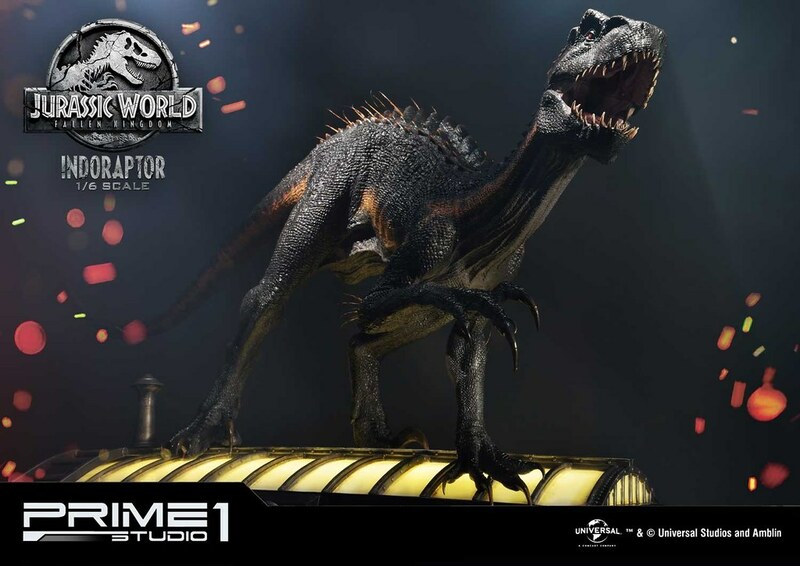 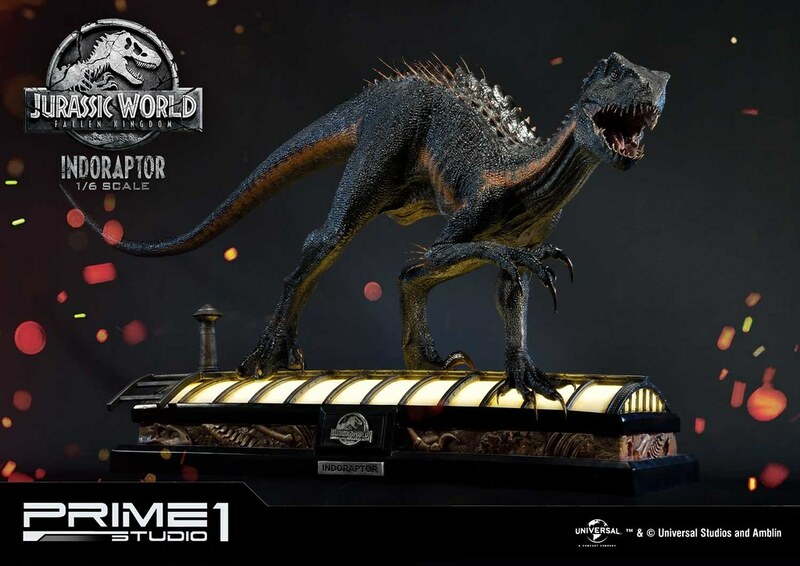 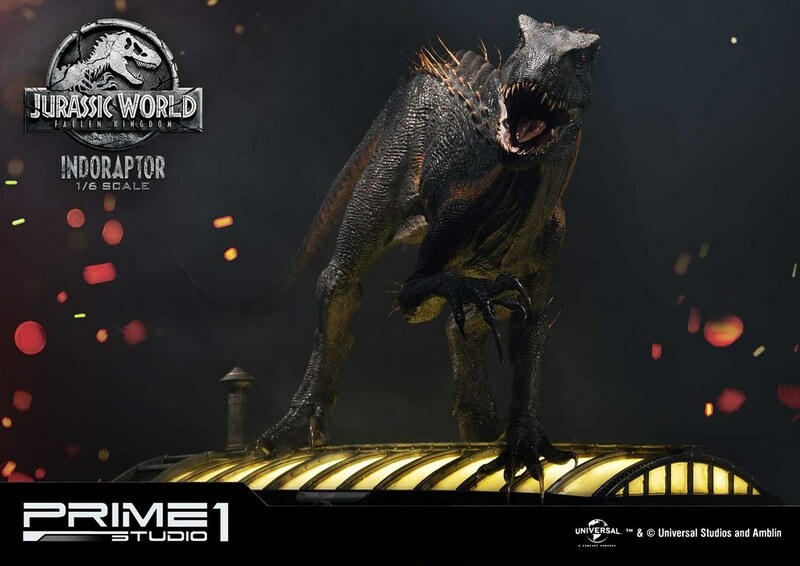 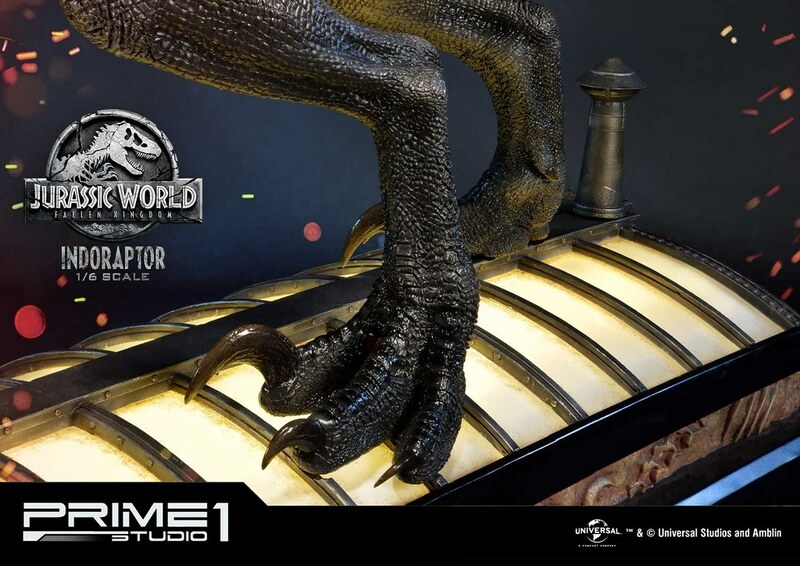 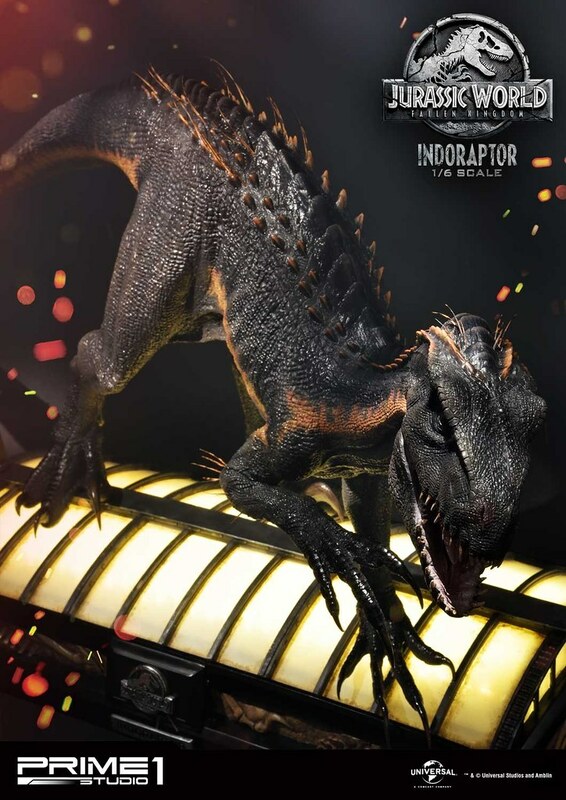 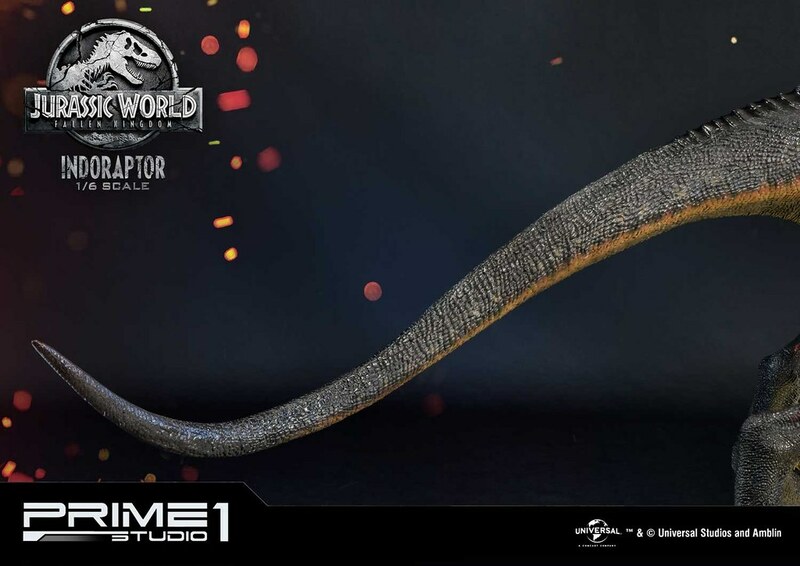 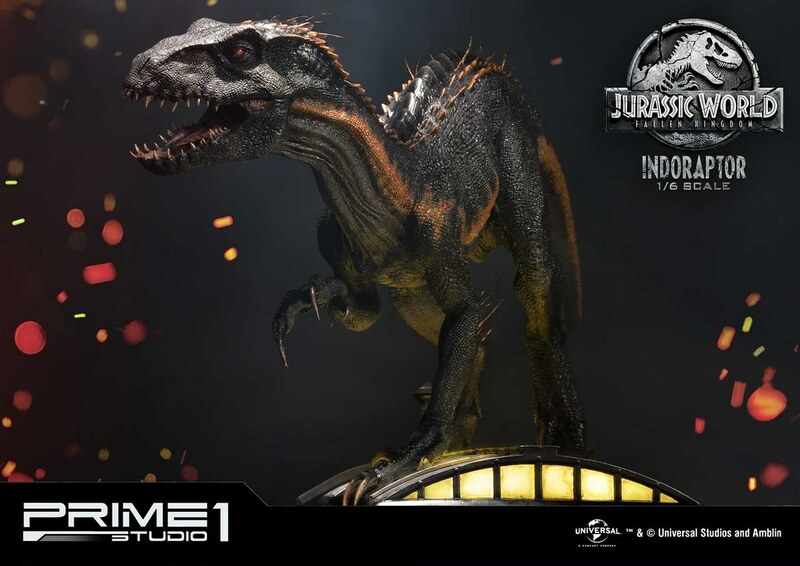 After releasing 1/6 Blue and 1:1 Baby Blue, High-end Statue brand Prime 1 Studio recently unveiled Indoraptor 1/6 Scale Statue from Jurassic World: Fallen Kingdom, releasing between 2019/11~2020/01. 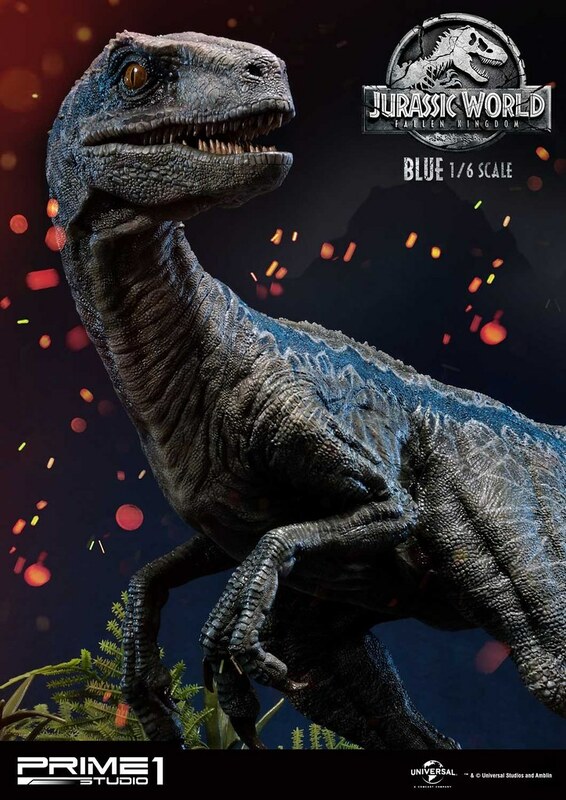 In Jurassic World: Fallen Kingdom, to prevent Dinosaur instinction from volcanic eruption Claire find Owen to form a rescue team with Raptor Blue begin the VIP target; Indoraptor is without a doubt the creepiest thing in the movie, more aggressive than a normal Dinosaur and smart enough to fool humans. 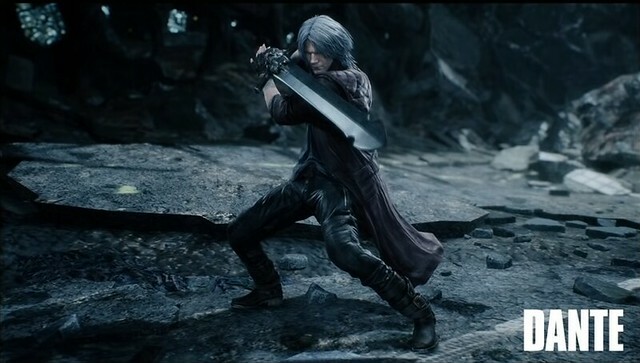 Additionally, because it's an incomplete gene experiment its muscle sometimes twitches or will unnaturally crawl to its victim...unlike others of its kind. 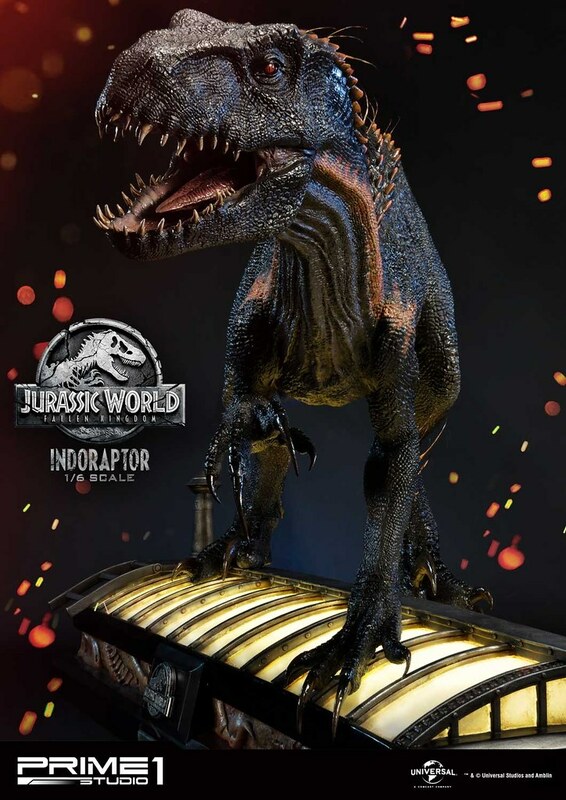 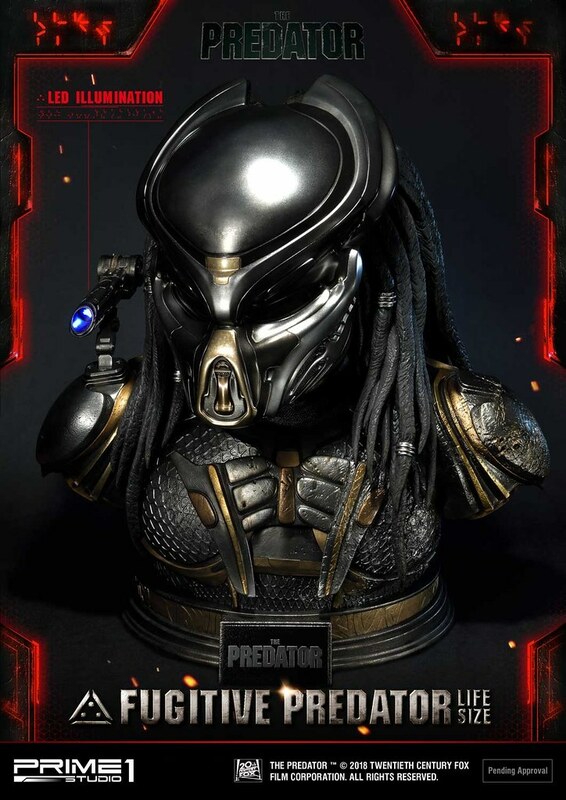 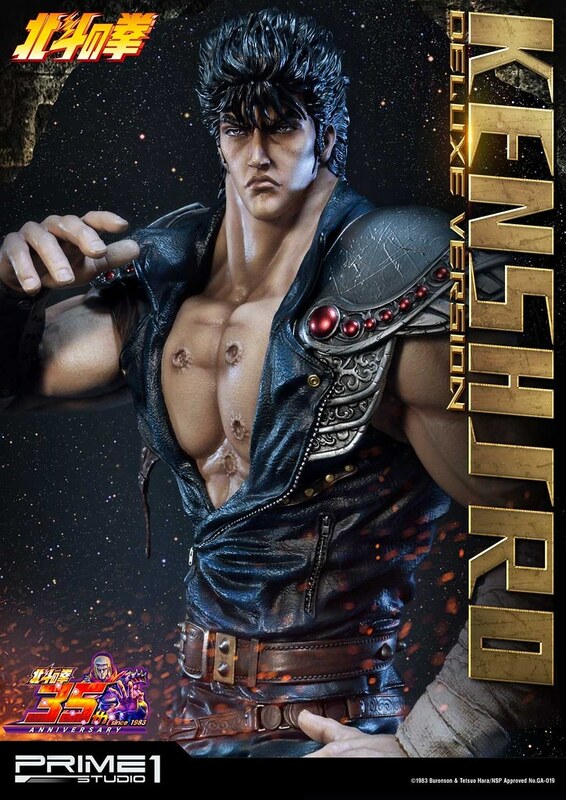 Indoraptor 1/6 Scale Statue stands 47cm tall and 100.7cm wide. 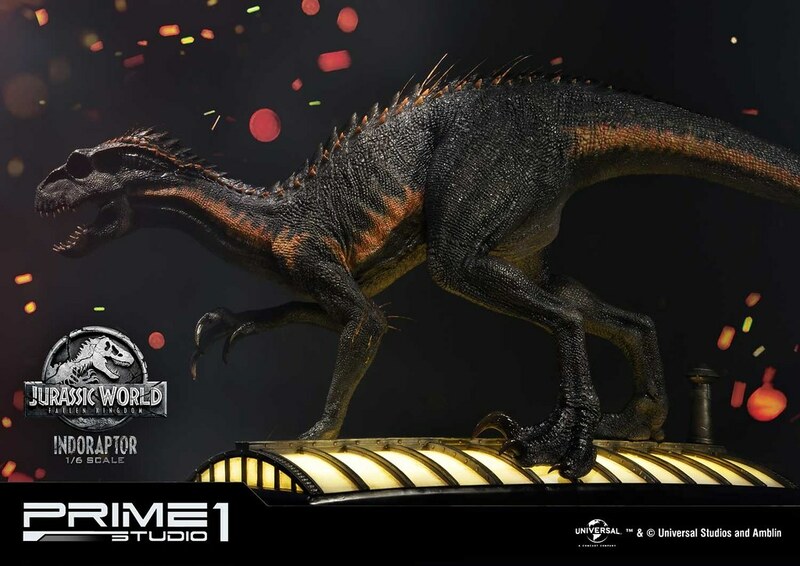 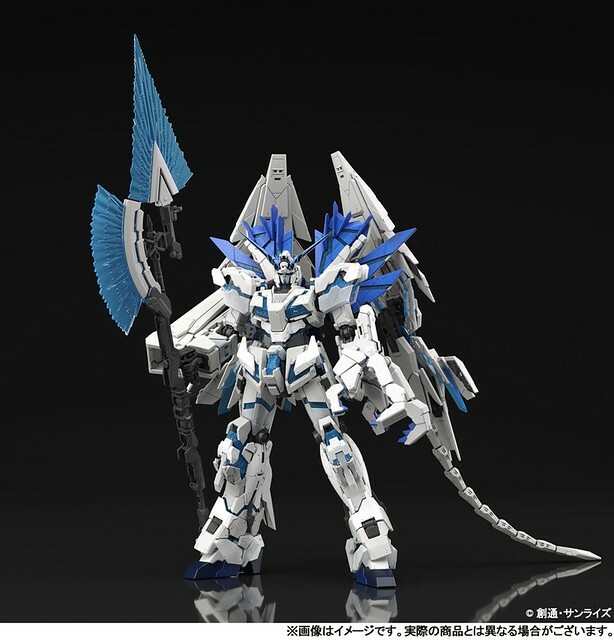 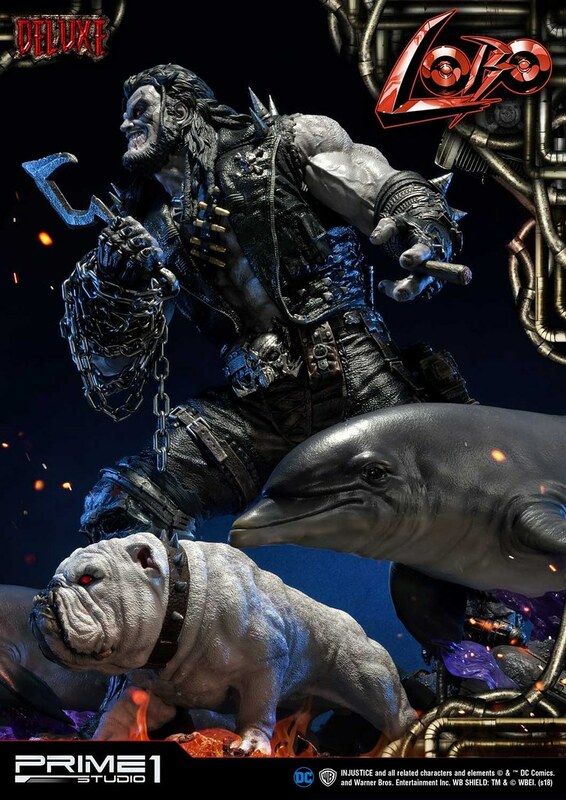 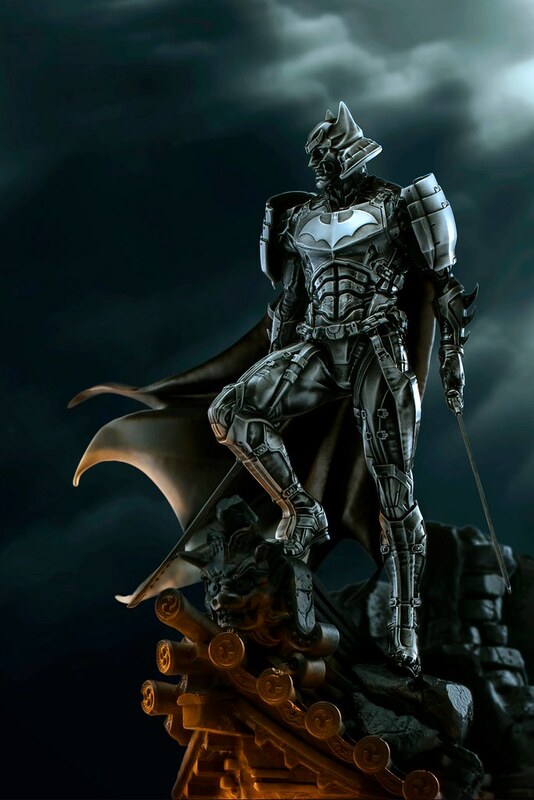 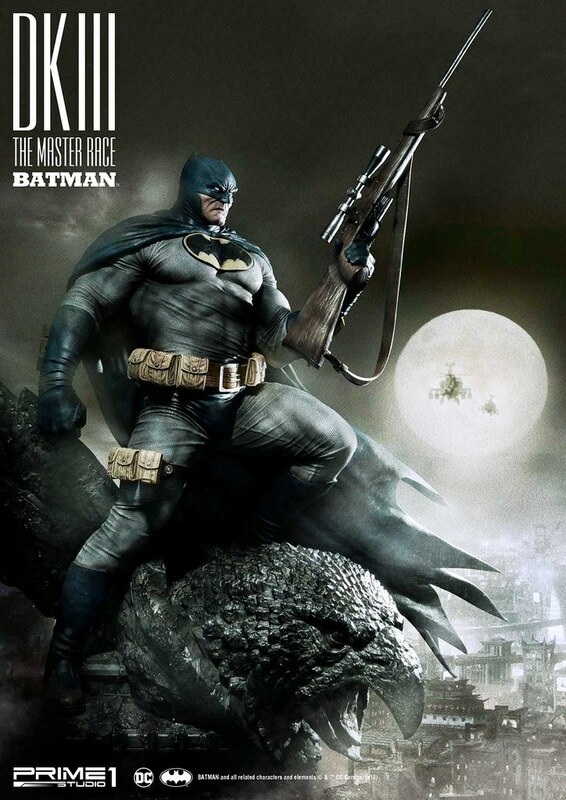 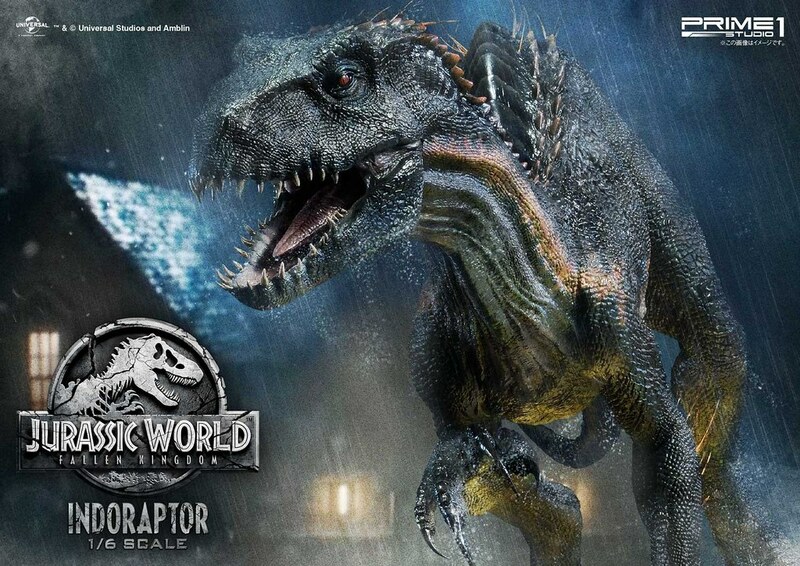 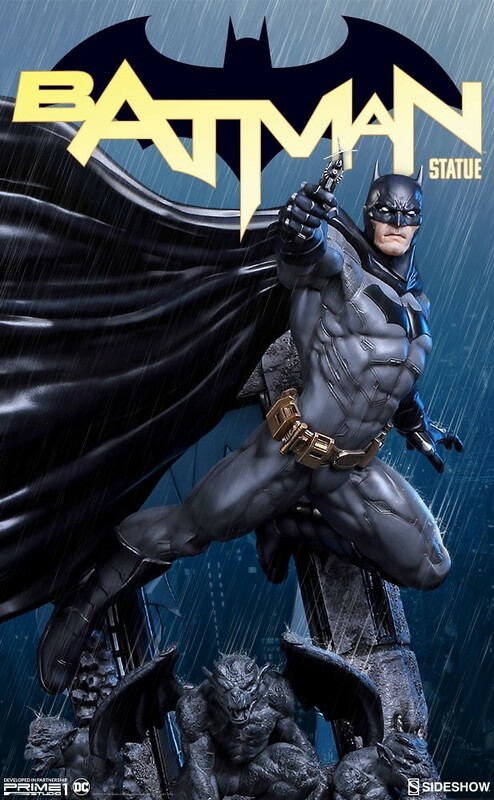 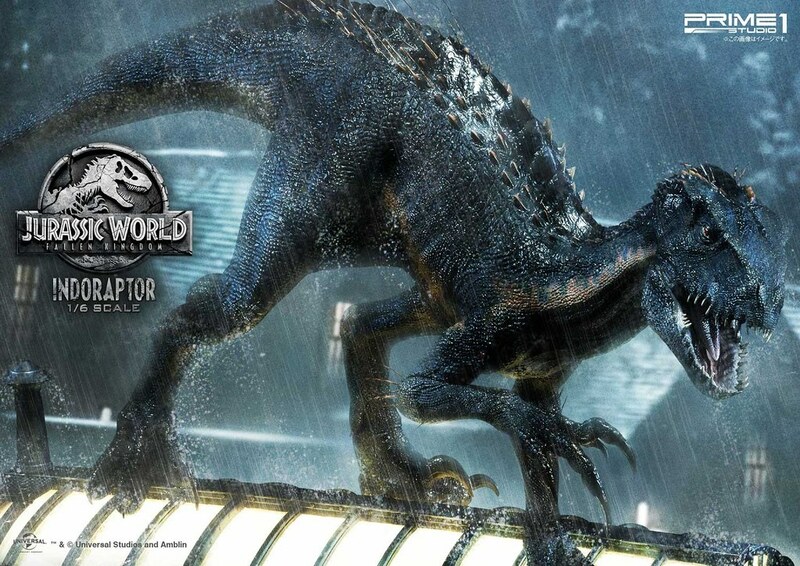 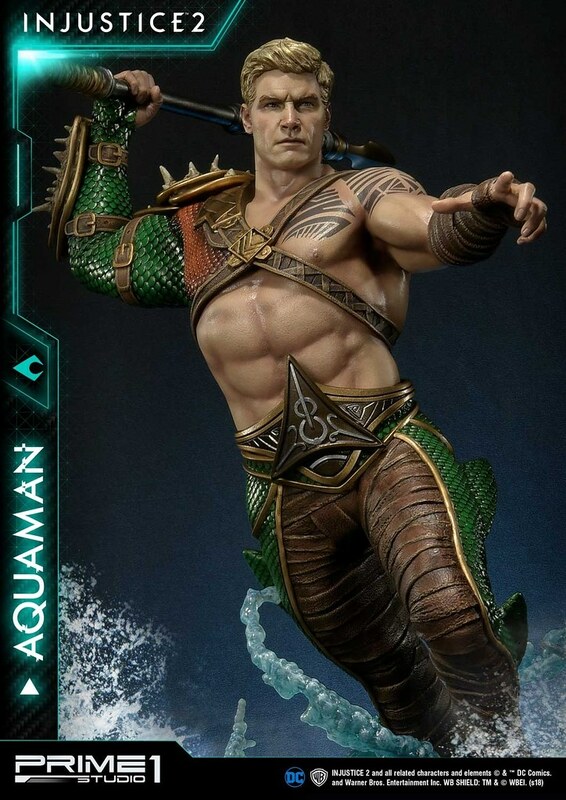 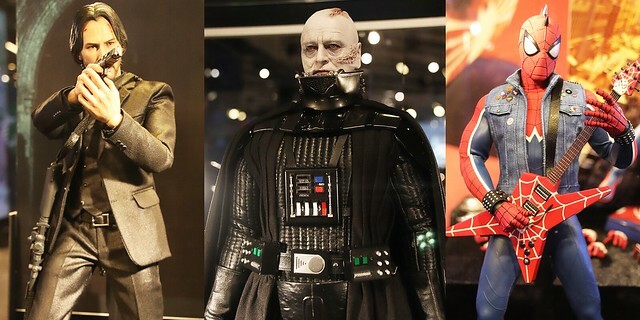 Realistically recreated its slim profile, feather, spiky spine, and black-orange skin from the movie. 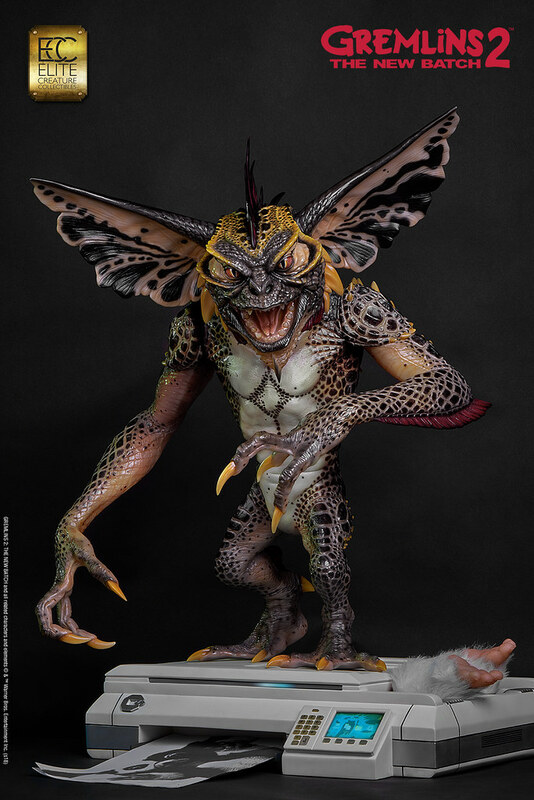 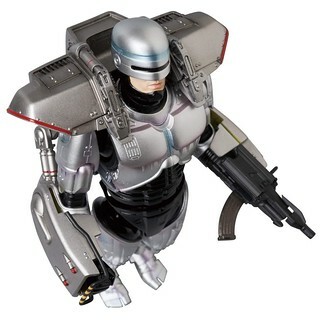 Scale texture is detailedly sculpted, with spectacular paint-job that give lives to the piece. 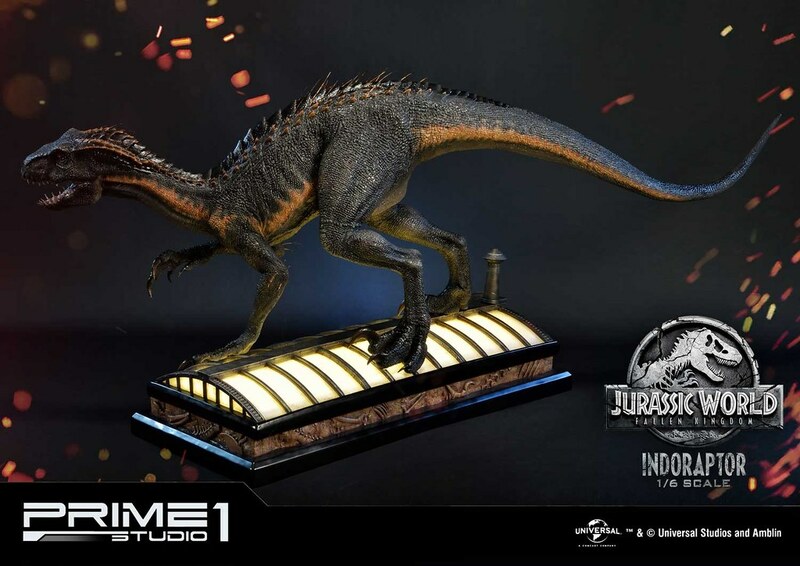 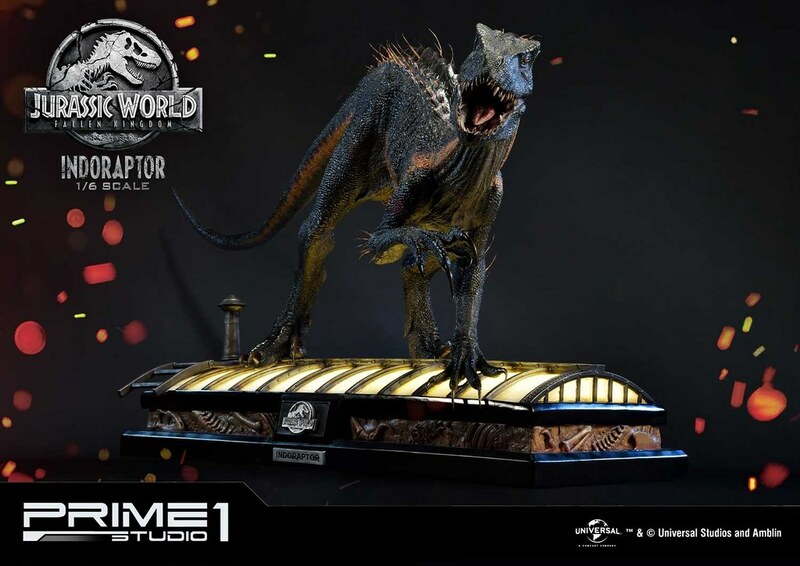 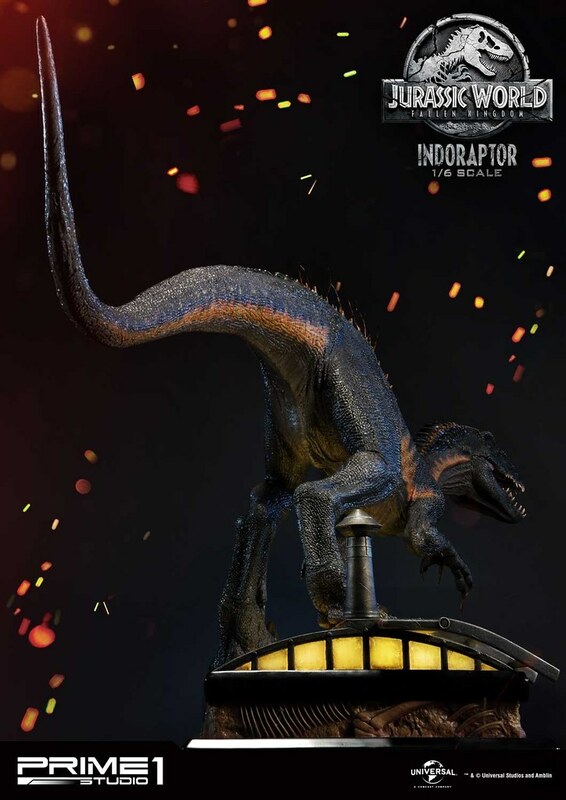 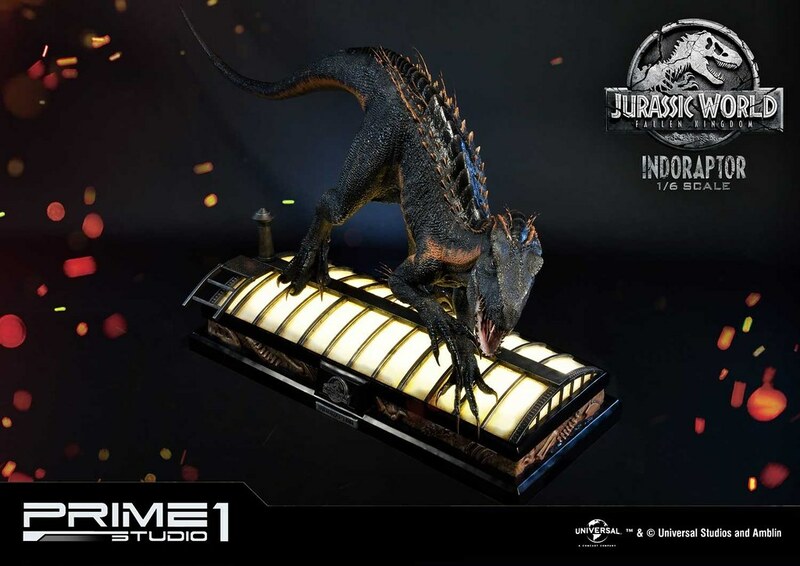 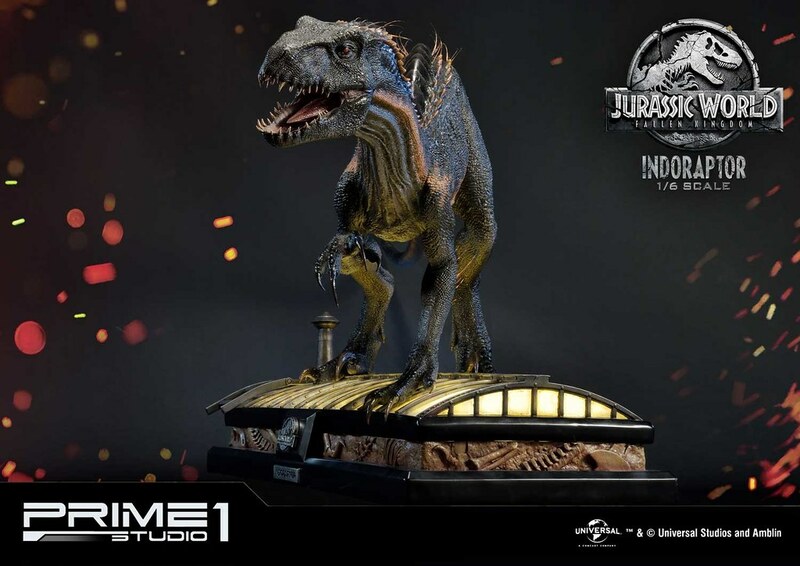 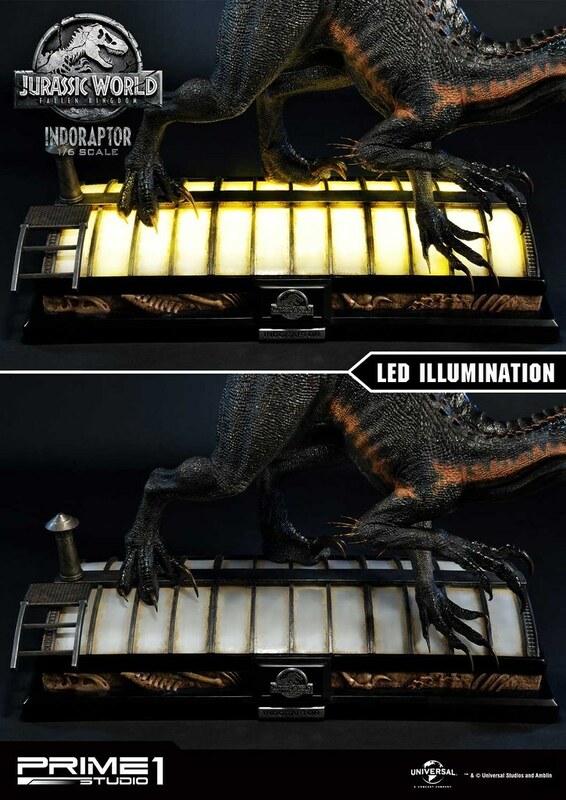 Indoraptor is displayed crawling on a roof with light-up features, recreating the roof scene from the movie. 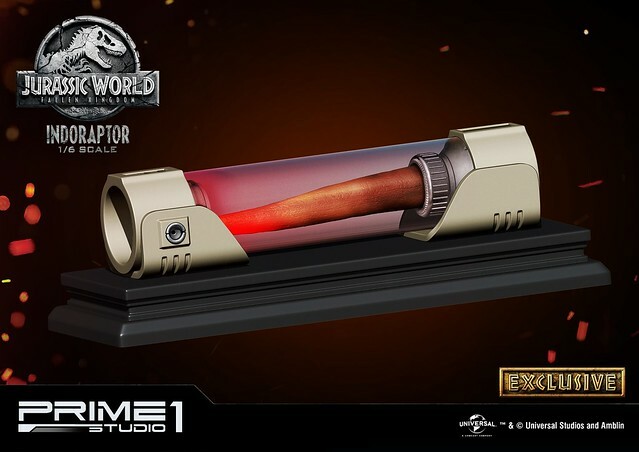 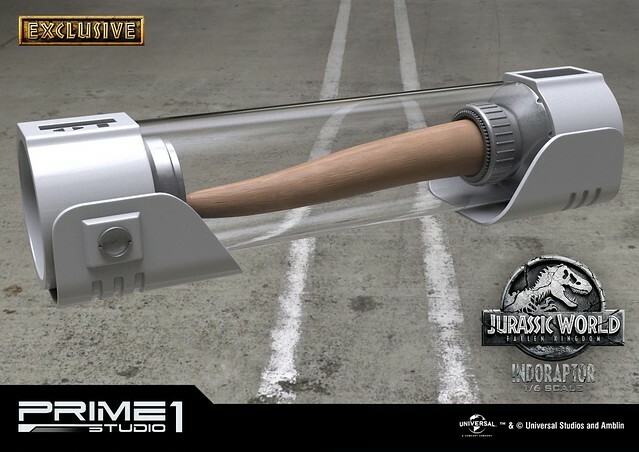 Ex version includes DNA tube container sample of Indominus rex rib bone!